When ISIS-Loving Muslims Said "This Country Is OURS!" These Christians Shut 'Em DOWN! 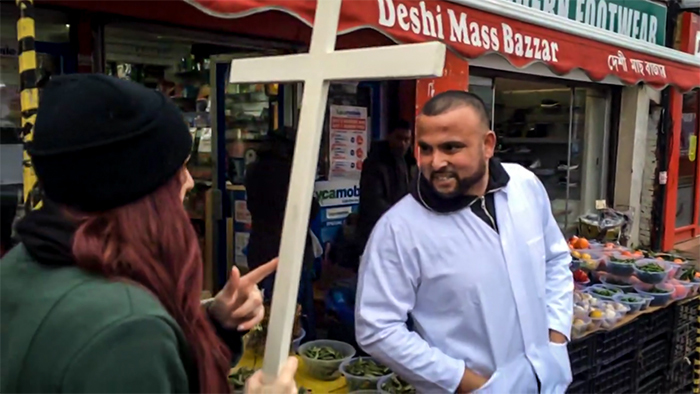 When ISIS-Loving Muslims Said “This Country Is OURS!” These Christians Shut ‘Em DOWN! I’m not sure how the rest of the world works, but I’m pretty sure that Western philosophies and Sharia Law don’t, and can never mix because they’re too far apart ideologically. When Britain First, a Christian group decided to protest, Muslims lashed out, violently at times. It’s a little hard to watcha and the language isn’t safe for children or work, but it goes far to show the TRUTH of what happens when you have an open borders policy on Muslim immigrants. This is sickening. Share it everywhere.